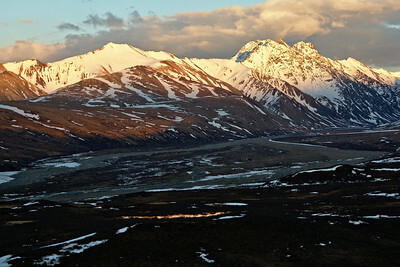 The light on Mt. 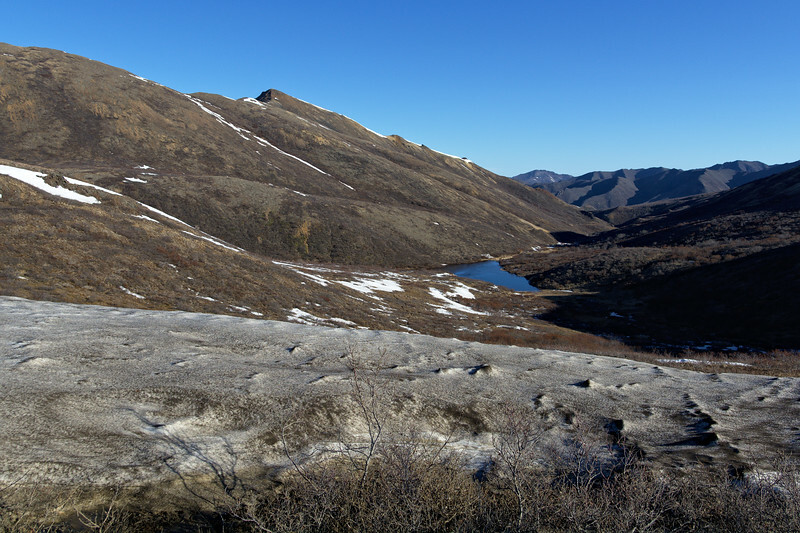 Pendleton reflects off of some kettle ponds below Polychrome Pass. 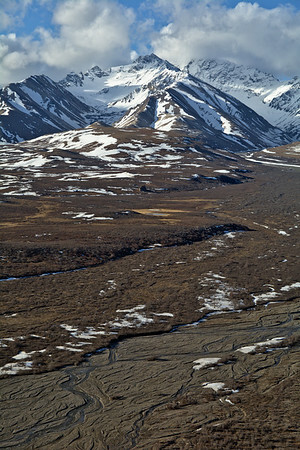 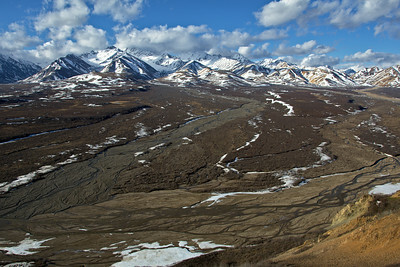 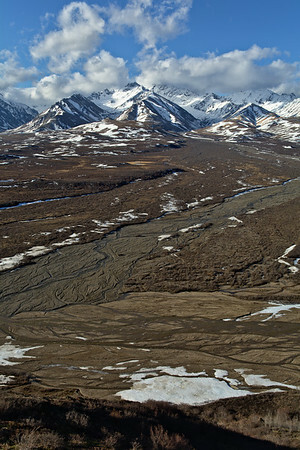 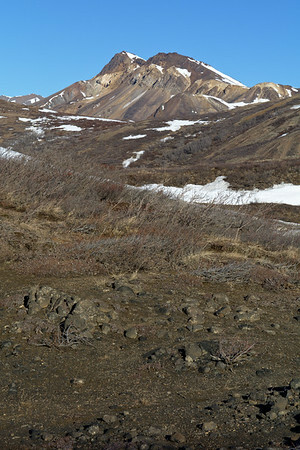 Multiple braided streams flow out of glaciers toward the East Fork of the Toklat River in the mountains south of Polychrome Pass. 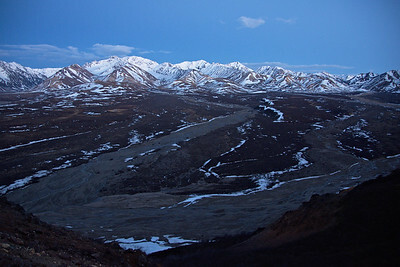 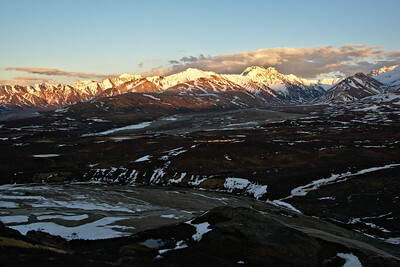 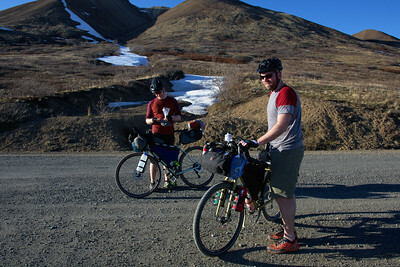 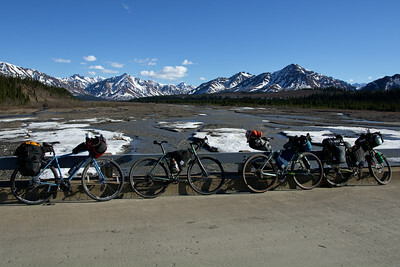 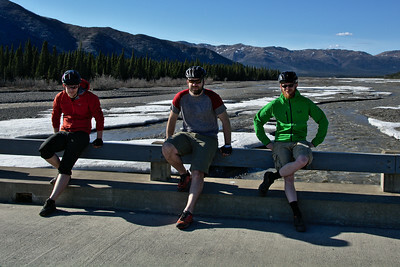 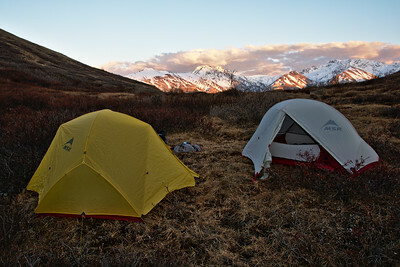 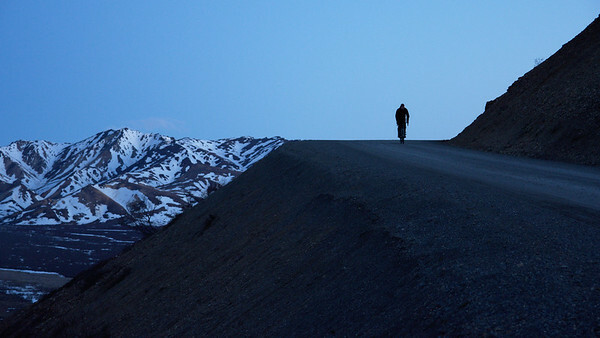 Denali National Park, Alaska - Shortly after Midnight in May.